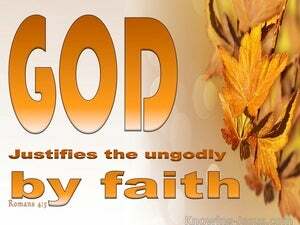 Abraham is often called 'the father of faith' because he believed God and it was credited to him as righteousness. 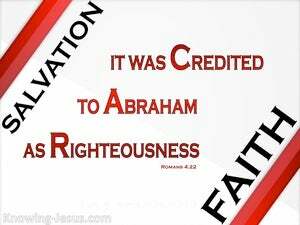 We first read about this accreditation in Genesis chapter 15 and Paul confirms this in both Romans and Galatians.. while in James chapter 2 we read: Abraham believed God, and it was imputed unto him for righteousness. 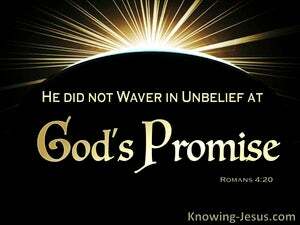 Abraham was given a promise, when God called him out of Ur of the Chaldes and he trusted God. 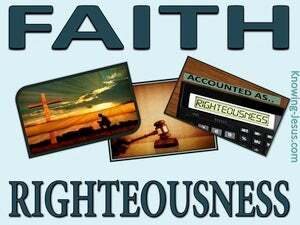 Abraham believed what God has said, which resulted in his being proclaimed righteous. 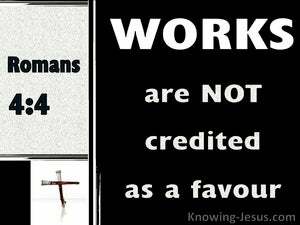 The important message that Paul is sharing here is that we are justified by faith and not by works. We are saved by believing the Word of God and not by the keeping of the works of the Law. 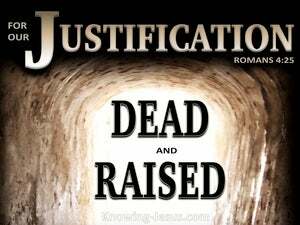 Justification by grace through faith is not a new way to be saved. Throughout the Old Testament we see that salvation has always been given, by believing the Word of God and not by meriting God's favour through works of the Law. The man or woman who is justified by grace through faith in Christ has been declared righteous by God - and the only criteria to be justified in the eyes of God is to believe - to believe on the name of the only begotten Son of God, Who became the perfect Son of Man.. and Who died on the cross to pay the price for the sin of the world - and He rose again, so that whosever believes on Him would not perish but have everlasting life. The book of Romans give a step by step logical sequence to show that salvation is by grace through faith in Christ, and that there is no condemnation to those that are in Christ Jesus - to those that are born again.. because they are positioned in Christ, imputed with His righteousness, baptized into the body of Christ (which is the Church) and accepted in the Beloved - and it is all by grace through faith in Him. Abraham is often referred to as the father of faith, because the Lord used His trust in God's promises as the foundational example of a man who is credited with the righteousness of Christ - by grace, through faith. 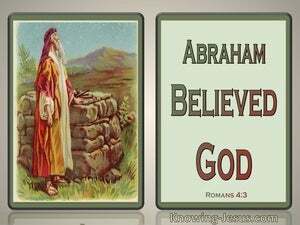 Among other things God appointed Abraham as the father of many nations - the spiritual father of both believing Jews and believing Gentiles. 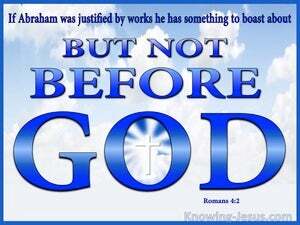 It was Abraham that did not waver in his trust of God. He knew of the promised Saviour, the seed of the woman that pointed to Christ and he believed implicitly that the kinsman-Redeemer would be born through his seed – his own coming son of promise. 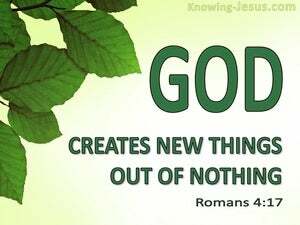 God knew before the world was created that man would sin, and the wages of sin is death - spiritual death, physical death and eternal separation from their Creator. God ordained that the one and only way that a race of sinful creatures, who were made in the image and likeness of God could be forgiven of their sin, would be through the shed blood of a perfect, Kinsman-Redeemer - but none were good enough - not even one. Having been brought to a realisation of our sinfulness and unworthiness in the eyes of a holy God in the early chapters of Romans, we discover ourselves face to face with our own gross sinfulness and desperate need for salvation.